Northwest performances; 100 national & international press contacts serviced; Service to 300 jazz stations including CMJ and Jazzweek reporting stations; Service print & internet jazz magazines. "Magical...No matter where Anschell plays on the keyboard, he sounds like no other pianist." - JazzTimes. 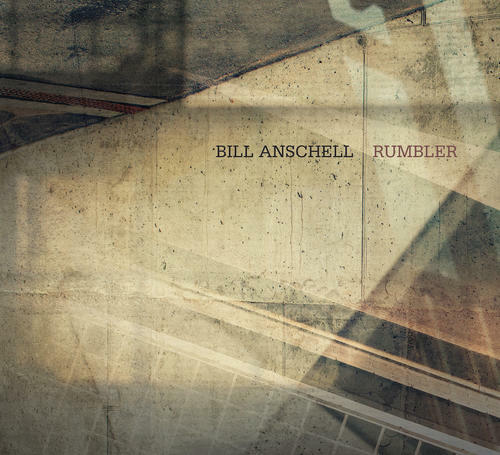 After a decade of recording mostly unscripted, improvised albums focused on his deep musical relationships with a few key players, pianist Bill Anschell returns to recording his own compositions and arrangements on "Rumbler," his fifteenth as a leader or co-leader. Anschell penned eight of the eleven tracks as well as arrangements of Thelonious Monk's "Misterioso" and Paul McCartney's "For No One." Mostly written on the road in planes and hotel rooms, "Rumbler" doubles as a musical travelogue, especially vivid in its reflection of experiences from his touring in South America over the last several years. Anschell is joined by a stellar cast of Seattle musicians, plus a guest appearance by Nashville saxophonist Jeff Coffin on the title track.The album closes with a moving, fully improvised solo expression of Duke Ellington's under-recorded "Reflections in D."